This entry was posted in Events, Information and tagged Assurer Training Event, ATE, Australia, Melbourne on 2012-07-15 by m.maengel. 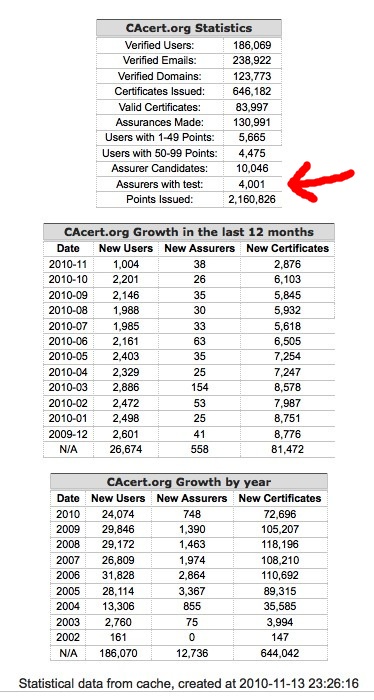 There will be a CAcert assurance session as part of linux.conf.au 2012 in Ballarat, Victoria (Australia) on Tuesday 17 January. If you would like to get assured or assure others, please come and see us! This entry was posted in Events and tagged Assurance, Australia on 2012-01-13 by Francois Marier. ATE-Melbourne is locked in! Nathan is making available a training room at Readify’s Melbourne, Docklands location. We will host an ATE on evening of 16th December, 6:00pm. More details on the wiki. 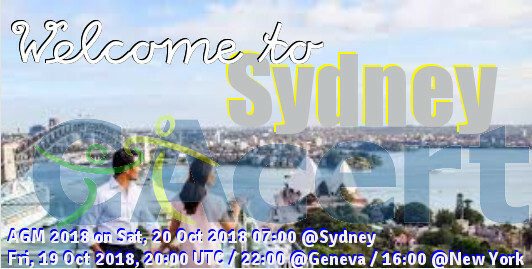 Other events in Oz are welcome! Mail me with suggestions (use the RSVP above). Note the board has earmarked funds to get us to Melbourne and Brisbane, and also some travel budget to other NSW locations (Wollongong and Newcastle, but hey, there are other places)! If you can offer us a venue, we’re interested! This entry was posted in Events, Training and tagged Assurer Training Event, ATE, Australia, Melbourne on 2010-11-14 by iang.